It is time to stop fearing fat! 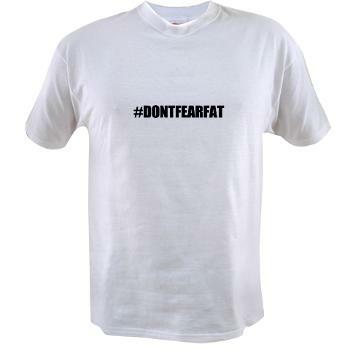 Time to wear it proud and spread the word #DONTFEARFAT! This design was just added. I felt it was a great message based on the current Twitter trend to spread the word and the OMHealth LCHF2015 conference that just kicked off in Cape Town, South Africa. 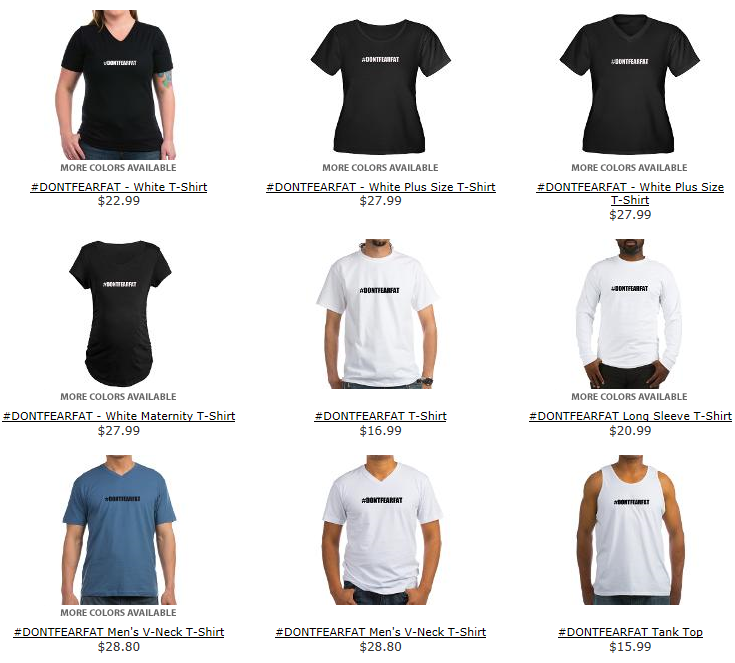 The Store page has a few other designs that I created last year that I never really got around to promoting. The classics include “LOW-FAT KILLS”, “ARTERY CLOGGING CARBOHYDRATE” and “MY LDL IS BIGGER THAN YOURS”. It is time to stop fearing fat. #DONTFEARFAT Spread the word by grabbing one of these T-Shirts. Help spread the word to stop fearing fat! 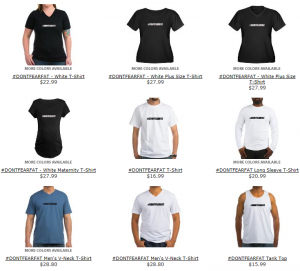 This entry was posted in General and tagged #DONTFEARFAT, WearItProud by Bill. Bookmark the permalink.